Lisa Young communicates God’s Word with warmth and grace, inspiring others to pursue a more intimate relationship with Him. Her passion is to see herself and others embrace the joys of walking with Christ in every day experiences. Lisa is the founder of Flavour, a ministry designed specifically for women at Fellowship Church. 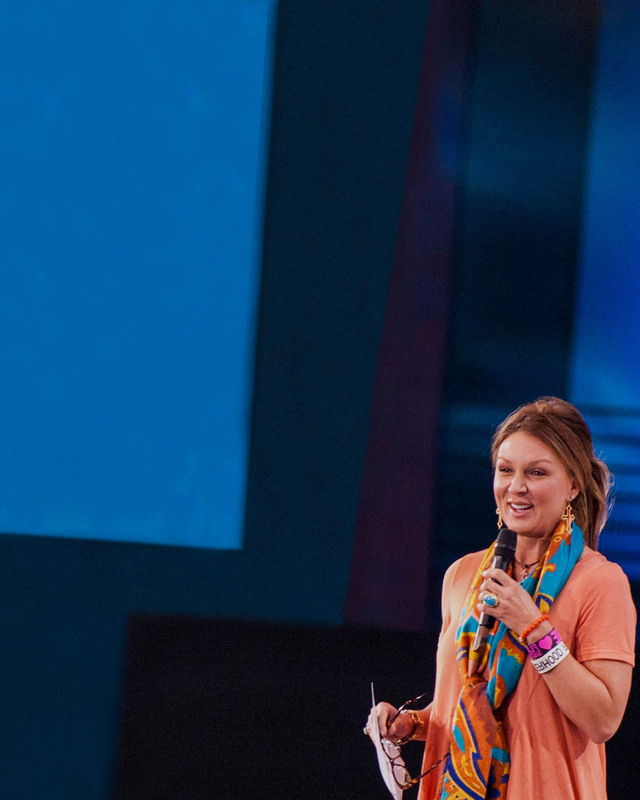 Flavour was born out of Lisa’s desire to show women their true value and worth in God’s eyes and their potential to uniquely influence the world around them. In addition to joining Ed on stage for special messages, Lisa is a gifted writer and has enjoyed co-authoring several books. Her most recent book is the New York Times bestseller Sexperiment: 7 Days to Lasting Intimacy with Your Spouse. Lisa’s other contributions include: The Marriage Mirror; The Creative Marriage; Beauty Full; and Kid CEO. In addition, she has written a cookbook, A Dash of Flavour, which offers simple, ‘down-home’ recipes that are healthy, filled with flavor and easy to prepare. Lisa has a degree in Early Childhood Education. She enjoys cooking, nutrition, fitness and spending time with Ed and their four children.